According to storm data statistics from the National Oceanic and Atmospheric Administration (NOAA), 20,237 significant storms were recorded in 2016, which is a slight increase from 2015 (19,172). That increase represented the highest number in about three years. All those storms caused all sorts of home damage across the United States, with many of those homes remaining damaged to this day. After a hurricane or a major storm, it’s important for every homeowner to inspect the entire property and take a look at all the damage. You should make a list of everything you need to be repaired and include any home improvement upgrades or renovations you want to do, as well. Next, you should work with professional repair contractors who can perform all sorts of property repair jobs. Water damage restoration — The repair contractors you work with will assess the water damage inside your home, including residential flooding, and can develop a plan of action to prevent mold, structural damage, and other water-related issues. 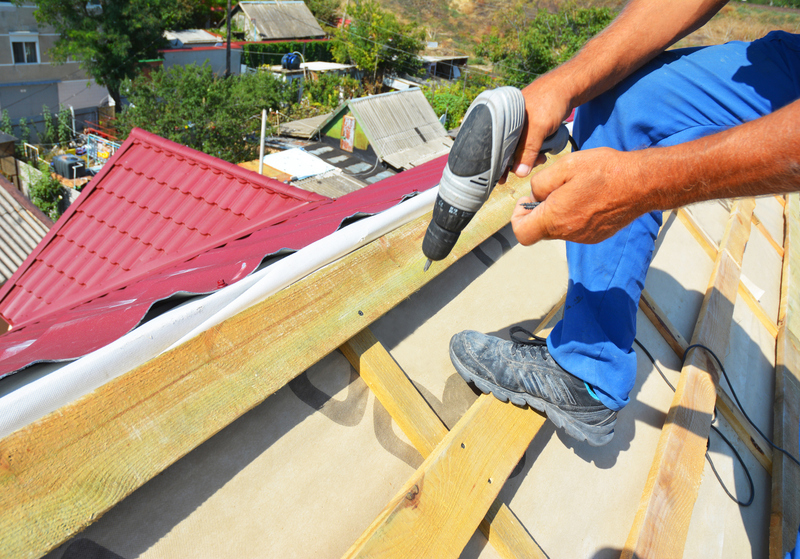 Roof and siding repair — Storms can cause significant damage to the exterior of your home, in some instances even completely tear the roof off your home. Working with experienced roofing and siding contractors can help ensure that your home looks great and is safe and secure following a major storm. Structural dehumidifying and monitoring — Following hurricanes and similar storms that often lead to flooding, humidity inside a home can cause all sorts of problems down the road. Contractors will focus on dehumidifying and removing all sorts of unwanted moisture from the interior of your home to bring the humidity levels down to where they should be. If you are in need of major damage repair after a hurricane, including water damage restoration and roof and structural repair, contact Triad right away.